Ideas for Lego sets - the more 'out of the box' the better! - A sailing yacht - Can't believe we have pirate ships and motorboats but no yachts, what an oversight! - Minifigs of grunge guys, emos, ravers, and of course Bootsy Collins. - Female minifigs with proper dresses instead of strange triangles. - A zoo which isn't duplo (I know there's an ancient one, but these days they could do a much better job). - A properly historically accurate castle, i.e. in the style of the Taj Mahal rather than Kingdoms. TLG had a longstanding policy to not produce models of any historic war machines (with the exception of Sopwith Camel, Red Baron), so this one doesn't seem likely. I have concerns that this wouldn't be a very interesting set structurally. As a castle fan, this would be a magnificent idea, and the recent Castle sets (MMV and the 2011 sets) seem to be trending towards more intricacy. However, there are some pretty spectacular and well-known MOCs from whose shadows they would need to step. Maybe not structurally significant, but can you imagine the increase of Animals? I know, but look at the Indiana Jones series with Nazi minifigs and army vehicles, and the Toy Story jeep - they've effectively ditched that rule long ago! ^ they've certainly blurred the lines, I agree. ^ I think they would great appeal to the old school, what with them using largely basic bricks only. What about the S1 skater, I think that's about as close as you're going to get. ^I think that's about as emo as their going to get. Its a kids toy, and that means they have to set a good example, or parents might refuse to buy them for their kids. Recently working on some proof-of-concept models to see if I could readily duplicate some of them with Lego. Actual sets would certainly make my life easier! Obviously I'd like to see Lego do more realistic historical sets. The misconception that a historical theme has to be watered down in order for a set to appeal to a wider range of consumer really doesn't hold water. What difference would more historically accurate vehicles instead of the sloppy original creations have on the Pharaoh's Quest theme? The relative accuracy of the vehicles in sets like Shanghai Chase demonstrated that gorgeous, historically-accurate vehicles could be just as viable as original creations without losing any "playability" of the model. The same could apply across the board with mini-figures and buildings as well as vehicles. The thing Lego typically doesn't do is a lot of research into sets other than the UCS ones like Tower Bridge. The themes get fast, ugly conglomerations of bricks instead of researched, well-designed and accurate models and figures. That's a shame. - Future City: some futuristic minifigures and robots, metallic building pieces, colored light up bricks (ex: red, green, orange), movable elevator and those moving walkways you see in airports, and hover cars! -Fairy tale sets: Fairies, gnomes, trolls, enchanted object minifigs, Mushroom house, a giants tree with hidden passage ways and rooms and special fairy tale accessories. -Classic horror sets: To include Frankenstein, Mummy, Vampire, Creature from the Black Lagoon. They could all be collected in to one big playset, i.e. a haunted mansion with traps, labs, hidden passage ways, a lagoon, haunted gardens and a graveyard. What you end up with is a very classy luxury yacht that looks almost exactly like Lex Luthor's yacht in Superman Returns... I think that's what they modeled it after, because it looks way too luxurious to be a normal police boat! If you can't get set 7899, then set 7287 from this year might be almost as good. There might also be a yacht in this year's Harbor theme, but probably not as cool. @the_real_indy - As I recall, there's a speed boat and a fishing boat this year, but no yacht. ^I meant maybe later in the year. Yes, just a skirt/dress piece that is the same height as normal legs...! Am I like the 8,000,001st person to suggest this? Why are lego women all so tall?! I'd like to see practical structural sets of buildings and businesses you need to have in a town. Drug store, super market (don't get me wrong, I love the green grocer set, by my town isn't set in 1910), SCHOOLS, public works, etc. I just read your idea about the tudor house and it got me thinking. If Lego designed a house that had more than one room it would be great. I think if they designed a house that had a bathroom, kitchen, family room, kids room, adults room, dinning room, outdoor play area and maybe a small garden with a whole family. like how play mobil made. 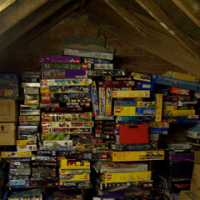 If lego had a house like this for $200.00 I would buy at least 2 of them.. maybe 3.. I know Guys and Girls alike would love to have a couple of these in their collection..
beville set 7586 was too pink and not mini figure scale.. Ever try getting a boy to play with Barbies, you can't do it.. don't force them into it.. make a house that is not Pink and that boys and girls can play together.. they wanna play house.. let them play house that is not made out of pink bricks.. I used to play with my Cousin when I was smaller in the 80's, he didn't like to play with barbies so we played a bit with lego's but eventually Little people (fisher price) won out.. They had little houses that were not pink, they had entire village pieces so you could build a town.. Like on Mr. Rogers.. I think most AFOL's grew up watching Sesame Street and Mr. Rogers.. they grew up on the idea that boys and girls could play together.. But not with houses that look like this..
they should look like this.. This is one reason Lego is so outta touch with girls.. not because girls don't like lego bricks, but because boys hate to play with Pink toys..
Lego should have the people who created the death star team up the the creators of the medieval village come up with line where they could make a village more in depth. people only need 1 store for $150 or 1 fire station.. people need 4 to 5 houses..
We also need farms that have lots of different animals and crops.. I don't wanna buy a farm that has 2 cows and a tractor.. what am I supposed to do with the tractor? pretend that there is crops to harvest? The cows were a great idea, but expand on it..
cows, sheep, goats, chickens, pigs, rabbits, sunflowers, corn, sounds familiar huh? Put them all together and watch that set sell for $150 be #1 on the list for 8 straight months.. collectors, kids, parents and dealers will buy them like mad..
wake up Lego.. or l will start buying Playmobil for my children instead..
limit of 5 pictures per post..
look at this TLC this is what we want..
hey look no tractor, they have animals..
great for a castle theme, for $50 bucks I would buy 5 of these.. This is another house that is not pink.. $100 set means I would buy 5 of these.. if they were made outta lego..
YOU NEED HOUSES..that are in detail TLC..
Death star meets Medieval Village - Now that's definitely not Barbie :-) .. Great idea though, and of course that's why demand is always high for the creator houses, was wondering myself why they seem to be getting smaller - must be a market for a big one surely?! super market, SCHOOLS, public works, etc. SCHOOLS! Of course - we even have a school bus but no school - great suggestion, such an obvious oversight! Supermarket-wise, Spongebob 3833 isn't far off, I've seen those used in City layouts. Just to be clear, a sailing yacht has sails. I know some people call motor boats 'yachts' but I meant the wind-powered type. There is a (really very good) technics Motocross bike, but assume you mean minifig-scale. Future City; I'm imagining something like the film Fifth Element.. Niiiiiiice! Classic horror, there's always 1382 but it's quite rare. After all they learnt in the Batman series, a remake could be fantastic. Maybe as part of a more modern "dark castle" - we could do with one of those too! Raised roads is a great idea - with the road plates, I actually wish they'd reinvent a new system for doing roads whcih is more flexible, and also allows you to build tram tracks into them, mess with the gradient, add wiggles and generally make them more realistic as well as more playable. Look at Ramp Crash etc - those should be able to plug into the road network but they don't - a new, more modular road system should allow you to do this. Obviously I'd like to see Lego do more realistic historical sets. Couldnt agree more, but don't you think the new castle sets (Medieval village and the new mill) are a big step in the right direction? I'd like to see a Lego Guppy for carrying plane parts around. First off, I used to love Playmobil. But now, looking at it in its largely huge piece plastic form just looks boring. I'm not sure I want Lego doing anything like the Playmobil line. I already feel like Playmobil has copied the lego line with its Pirates theme. Second, I like the new harbor sets coming out and they were my vote for new sets until I saw the pictures...and the large pieces they use. I know they are intended for a younger audience. Is anyone not sick of huge pieces and floating boats? I mean I think I'm beyond the bathtub phase. The giant wings and floatable boats are my least favorite. The set ideas are great for any sprawling city. However, they are too juniorized. An Extreme engineering series about building bridges and parking garages. I also agree about any sets for war. Especially so we don't have to pay such high prices at Brickarms. I want to see a line of Disney licensed buildings. TLG already has licensing with Lego. Im talking about the theme park buildings/rides not movie licenses. They could do main street. Train and train station. Castle (of course). Haunted mansion. Space mountain. Big Thunder railroad. Splash mountsin. Parade floats. They could add detail on inside of rides where appropriate. Ferry boat that goes around tom sawyers island. 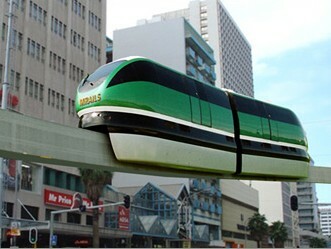 Monorail. Could do hotel lines. Contemporary. Grand Floridian. Polynesian. The ideas are nearly limitless. And they would be very collectible once someone started getting the sets. The consumer would tend to want to get all the sets. Please, please Lego. Make this idea a reality. I have to think that they have thought of this idea but have business reasons as to why they haven't done it. Maybe it's not international enough of an idea to pursue. Really like the ideas about hotels and the Burger Joint. I'd like a Waste Processing Plant, a Flower Shop, a Record Store, or a Toy Shop. A ski-run and chairlift could be cool too. I'd also like if Lego went more modern with their architecture too, like the Beach House. Why not do some some famous architect-designed houses in minifig-size? Nuclear power plant. You could then have a place for the Hazmat Guy! Actually scrap all that, although i liked the idea of a minifig of say Eminem and Churchill and Ironman, this idea would just turn LEGO into Galactic Heroes or Kinder toys. I would LOVE to see a TARDIS (I know that they havent got the licence but would love to see it done properly). And some of the old Dr Who sets would be awesome (and probably more realistic in LEGO than the cardboard they were made from :) ). Underground station and a Tube train would be cool. Prehistoric land could be good, Dinos are alway popular and you could have a cool Volcano with lightup red bricks, suppose its a tad limited on what you could build though. A game in the style of Mouse Trap could work really well with LEGO I think. A tad 'out there' but i would like a bowl of fruit, like a little modern art piece for the dining table, that would be kinda fun, making a bunch of fruit. :) ok maybe i am losing it now. There are some fantastic ideas on this thread, I do hope someone from TLG is reading it. A minifig scale house with rooms to promote boys and girls playing together is perfect. You could have a core two-level house with say four rooms and a flat roof and then sell 'extensions' that work standalone or can be added to the core to add extra rooms, an optional pitched roof for it including an attic room in and even minifig scale fixtures & fittings / furniture in poly bags - so that you can add the interiors that you wanted, say antique or modern. Future City made me think of Blade Runner and the possibilities with Steampunk for a crossover into ornate Gothic/Victorian buildings is immense. A School and an extended Farm range of animals are also standout winners. Finally "some famous architect-designed houses in minifig-size?" Oh yes! Where do I sign? I also like the school, library, colosseum and future city suggestions. Dinosaurs are also very cool however I didn't really like the Dino 2010/ Dino Attack series, I find them kind of unLego like somehow... The minifigs were nice though. I personally would love to see a whole Star Trek series but I guess that would offend alot of Star Wars fans? I would love to see an Ancient Civilizations Lego theme in the same vein as the castle theme but centered on Imperial Rome. Imagine all the large set possibilities like palaces, arenas, circuses, temples, forts, forums, aqueducts, villas, auditoriums, and baths. There would also be a lot of small set possibilities like horses and carts, siege machines, triumph regalia, chariots, cavalry, gladiators and such. It would make for some cool little minifig accessories like crested helmets, square roman shields, laurels, wolf-skin headdress, buccina horns, and Imperial standards. They could have other factions like barbarians or civilizations such as Carthage or Greece. This seems too obvious and maybe too close to follow the release of London bridge. But a large scale working big ben clock tower would be awesome. And more non pink girl stuff. My daughter is 9. She loves Lego but struggles with the themes. She likes Harry potter. I've been buying her the Christmas buildings and recently bought her the carousel. But why does TLG insist on girl Lego being pink? More big giant sets please. I want to see more $300+ sets. And more giant technic sets. The more complex the better. I'd like an oil rig, school, library and more normal shops. - An updated ICE train (i.e. without the design flaws and with power functions and an extra carriage) - or possibly as a TGV instead. - I'd like sonic boom and the passenger plane to look in-scale next to each other, so whichever one needs to be updated to fix that. - More different types of guitars for minifigures. - Park Guell (in Barcelona) - especially the entrance buildings - although I'm concerned they might have to add loads of bespoke pieces to do it, in which case forget that idea. A UCS Opera House would be awesome. You could put lots of detail AND natural play function. Think flying in scenery. Fine by me - Sydney Opera House, please ! Oh... That would be awesome, but I don't think they would reasonably be able to put any functional detail on the inside. 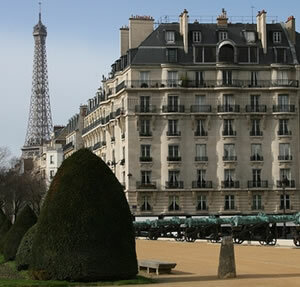 I was thinking more along the lines of a regular box shaped building in a traditional European style (Paris opera house?) that you could swing open on the side to reveal a cutaway view of the audience, stage, and backstage. And of course a functional fly system (http://en.wikipedia.org/wiki/Fly_system). Maybe even trap doors in the stage to lead to a trap room. I'd like to see it minifig scale, so an accurate scale representation of real opera houses would be unlikely to work. The stage would need to be bigger than normal and the rest would have to be smaller. They could do something along the lines of the Death Star that had all those play features. Am I correct in my recollection that Ambassadors cannot take set ideas to LEGO? I would love Lord of the Rings Lego. It is the prototype 717 Junior Constructor set. The prototype set was based on a 1959-60 glued continental European retailer model, which was modified slightly (adding a left 3 window dormer). However this set demanded 9 10x20 thick baseplates, and a lot of bricks... so it was remodeled to a smaller more modern flat roofed house using only 4 10x20 thick baseplates. It was this smaller house that was actually produced as the 717 set (from 1961-65) in USA and Canada only. I have a fascinating 15 page history of the prototype/actual sets, including several pages of instructions on how to build the prototype... using nothing more than regular bricks and 22 white classic windows/doors (two 32x32 green baseplates can easily replace the 9 10x20 green thick baseplates). Also included are LEGO idea book images, and images from a USA Samsonite commercial of the early 1960s. A very interesting read and a great build. Available from my Bricklink store for only $2.95 (no shipping charge, since it'll be Emailed). This involves a 15 page Email'ed PDF color copy. Old school 80's gi joe would be cool, but I doubt the market is there for that. Great call on the classic monsters sets!! I've been thinking the same with the vampire, wolfman, mummy, witch, etc minifigs. I would love to see some theme based on objects that transform in to robots and back. I understand that the Transformers license is probably a long shot, but that shouldn't stop them from trying similar ideas, right? There is a guy on mocpages who builds some unbelieveable interpretations of Transformers, and I envy him so much, as LEGO and Transformers are 2 of my favorite things growing up. To combine them is super-awesome. I'd want to see LEGO do something like a transforming jet, and car, etc. There is so much design space in that, and it would appeal to both LEGO fans and Transformer/Voltron/etc. fans. A set of transforming robots that combine into a super robot like a Voltron- or Constructicons-style would probably put me in a nerd heaven. ^^ And 8848 could be described as a unimog too. Also note there's a coastguards unimog, at 'kind of' minifig scale (it's a bit bigger than most minifig vehicles).